Congratulations to Chrystal Lopez of Lexington! 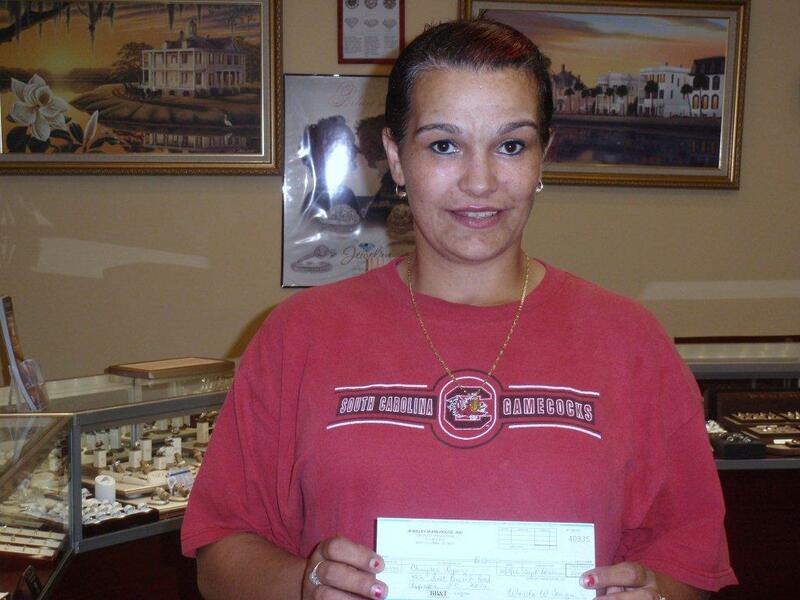 She just won $5000 from our September Gold Buy contest! She is a single mother of SEVEN (7) boys with 2 year old twins, a 3 year old and up to a 17 year old, who will graduate from Gilbert High next year. She was very thankful and appreciative that Jewelry Warehouse gives back! In October, 10 lucky people will win $1000! Sell your gold to us, for a chance to win big! This entry was posted in Contests, Gold Buy Contest, Jewelry News and tagged gold buy $5000 contest winner, gold buy contest, jewelry warehouse buys gold, selling gold in columbia sc, win $1000. Bookmark the permalink.